Are You Considering Training To Be A Hypnotherapist? Then I have something very cool indeed for you here today, read on….. The study was by Tamblyn, Tewodros, Huang, Winslade ad Doran (2014) entitled “The incidence and determinants of primary nonadherence with prescribed medication in primary care” and featured in the Annals of Internal Medicine. I found it so interesting because it highlighted that one third of people do not actually take the medication that they have been prescribed by their doctor or physician!! Of the remaining 67%, many won’t take their medication correctly and miss doses and do not follow the instructions for that prescription, even when the illness being treated by the medication is serious. It is interesting because us hypnotherapists get to work with our clients, offer support, get regular feedback, hold our clients accountable, develop a relationship collaborate and work with the individual to ensure they follow the instructions for enhancing the effects of the therapeutic approach – yet if you ask any hypnotherapist, they’ll often tell you that one of the biggest challenges they face is getting the hypnotherapy client to properly engage with their tasks and practice of hypnotic skills and so on. It begs the question…. Don’t people want to get better? Deep down, they do. At least, most do. There are many reasons for not taking one’s medicine – one in particular is that some people have a distrust of conventional medicine and doctors… and for hypnotherapy clients, it is often lack of motivation or willingness to actually take some responsibility. The reasons are many and varied, but those I’ve mentioned here illustrate the reason for this blog entry here today. For anyone considering training in the field of hypnotherapy, looking to train to be a hypnotherapist, I have put together a roadmap; a guide to help you do that. 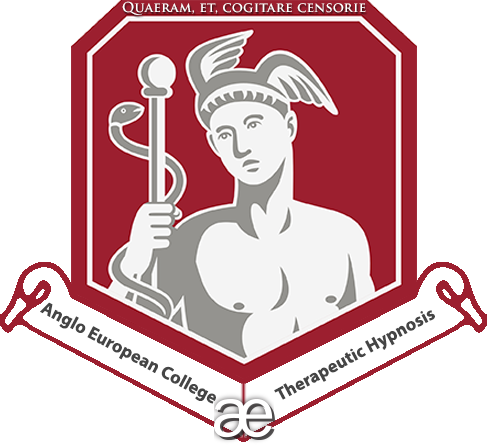 Whether you come and train with me here at this college or go somewhere else, this roadmap and guide will offer you a real direction of how to identify the best way to train as a hypnotherapist. Even more importantly though, it contains a HUGE amount of free resources for you to use and learn from. To download it, just put your name and email address in the boxes here. Just add your name and email address in the above boxes and then you’ll receive an email to click on to confirm that you requested it (GDPR rules insist on that step) and you’ll be sent through the Roadmap. For free, with my compliments. I have crammed it full of information, advice, guidance and it includes a mass of free resources that I wished I had been given when I first looked at training to be a hypnotherapist. You see, when it comes to training to be a hypnotherapist, it really is very worthwhile taking your medicine and having it explained to you why you should do so. It’ll make the difference between having an immense career in a majorly satisfying and deeply meaningful role as a hypnotherapist, and ending up with regret, losing interest and finding yourself unable to actually develop a career as a result. Go for it, download the roadmap, there is so much of value and use inside of it – and I am certain you’ll benefit massively as a result of reading it and implementing what you learn in it. IMPORTANT: If you have a hotmail, yahoo, gmail, AOL or btinternet email address (among others) the automated email may well find it’s way to your spam mailbox. Do check there for the message. You should receive the confirmation within 5 minutes of requesting it, at the LATEST. If for any reason you have not received it and you have checked your spam/junk mailbox for it – then send me on a message and we’ll work out a way of getting it to you. So sorry to hear about your friend Heather; I extend my sympathies. I’d love to get a copy of the roadmap. I’m still only coaching in IT rather than aiming for becoming a hypnotherapist, but your lessons are still proving incredibly valuable and I’m sure this will help to remind me! Hoping to catch you this year in Bournemouth in December; Darren is coming too. Best wishes to you both, Adam. Hello. I tried to sign up for the training roadmap but didn’t receive a confirmation email. Can you send it directly? Our records show that it has been sent to you. Have you checked your spam mailbox? The initial email needs to be clicked on (as per GDPR requirements) to confirm you want it, and then the roadmap gets sent through. If you cannot find it anywhere, send me a direct email and I’ll work it out with you one way or another. We have had several hundred people download this roadmap, so there should not be a problem.